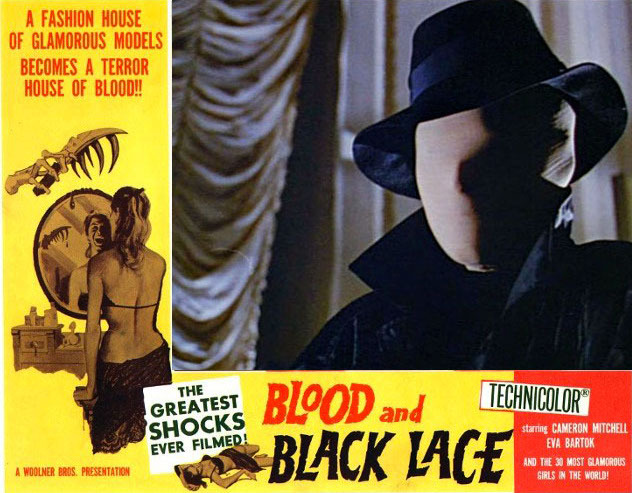 Blu-Ray News #191: Blood And Black Lace (1964). VCI is bringing Mario Bava’s Blood And Black Lace (1964) to Blu-Ray here in the States with a slew of extras, some of them carried over from VCI’s previous DVD. This picture is worthwhile for Bava’s use of color alone. Then consider that the whole thing was done for about $150,000. It’s really incredible. This is one of the great Paul Frees’ finest hours, as he provided most of the male voices for the English-dubbed version. Coming in October. Highly recommended. DVD/Blu-ray News #5: Planet Of The Vampires (Terrore Nello Spazio). Halloween’s always a great time of year for video-collecting horror and science fiction fans. This year is no exception. Added to a release roster that already includes The Legend Of Hell House (1973) comes Mario Bava’s supremely creepy sci-fi movie Planet Of The Vampires (1965), on Blu-ray and DVD from Kino Lorber. Italian science fiction films, to me anyway, never seem to make any sense. Ever see Wild Wild Planet (1965)? This one, written by Ib Melchior, has a bit more going for it than most, script-wise. But it’s always Bava’s visuals we’re concerned about, and Planet Of The Vampires doesn’t disappoint. This thing’s got enough style and atmosphere (and fog) for 20 movies (and oddly enough, no vampires). I see a lot of this film’s influence in Alien (1979), with a heavy dose of It! The Terror From Beyond Space (1957) thrown in. VHS copies in the Eighties replaced the original score with some dreadful synthesizer stuff. The MGM DVD restored the original music featured in the Italian and AIP versions. Can’t wait to see what Kino Lorber offers up. Highly recommended. Don’t you love that Reynold Brown poster art?